This product is the result of further development of our patented Super reeve Connector Socket (SCS), which has proven itself in the field during the past eight years. In this new design, we have added an integral swivel. The new Ropeblock Round Overhaul Ball is available in weights ranging from 45 - 545 kg (100 - 1200 lbs). 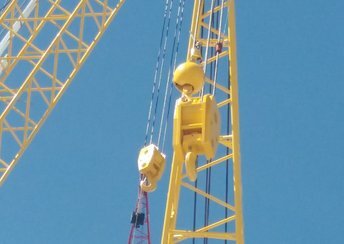 With its highly cost efficient design it offers lots of added value for the construction industry and other markets. 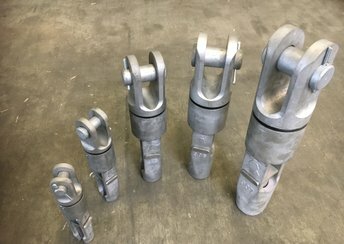 The former DIN 15402 standard for lifting hooks became obsolete as of January 2017, to be replaced by EN13001-3-5. 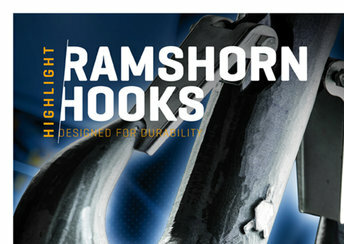 At Ropeblock we took this opportunity to develop a range of new ramshorn hooks.